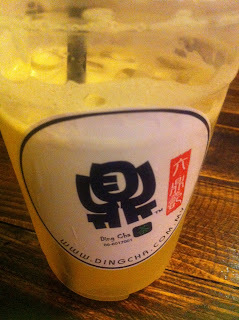 Visited this cafe called Ding Cha at Uptown for dinner few days ago. The deco was really interesting. All woodsy...I think they try to do it Mongolian style. There is even a big red door (dummy). The toilet has swinging wooden doors with wooden tubs for sinks (may not be wood). The menu....pan mien and rice (suppose to be mongolian style). I thought pan mian is chinese. 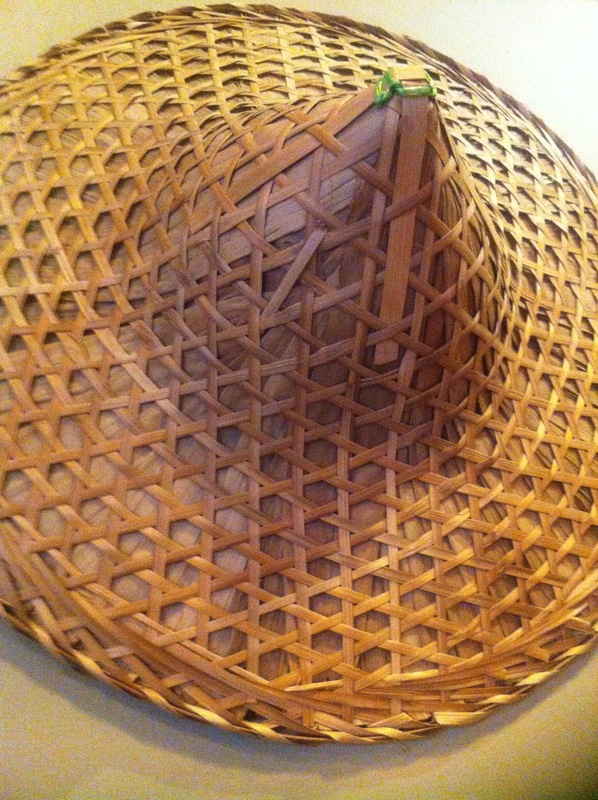 I love this hat. 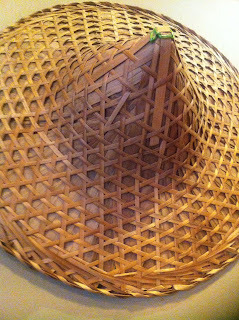 I want to get one for myself when I go under the sun to dry keropok or when I do gardening. 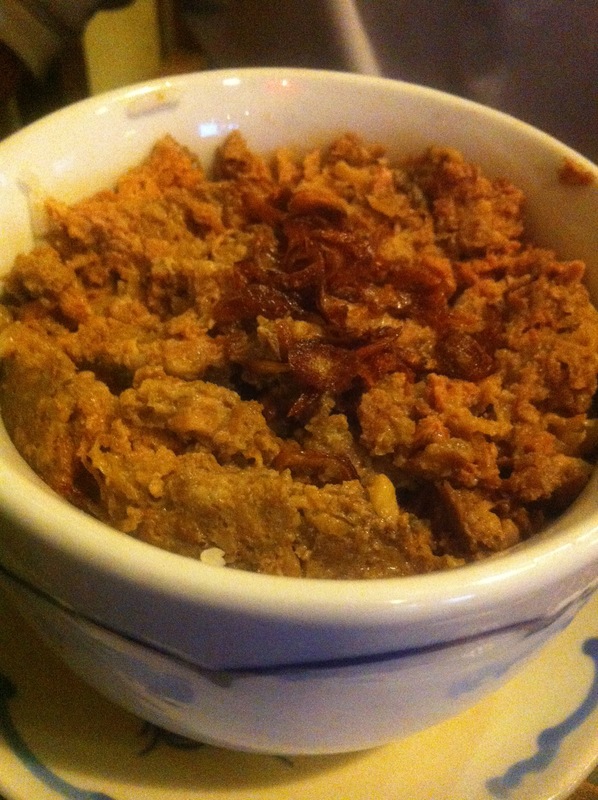 Daniel had minced burger rice. He said it is very delicious. It's just minced burger meat on rice, I think. My coffee...big mug. 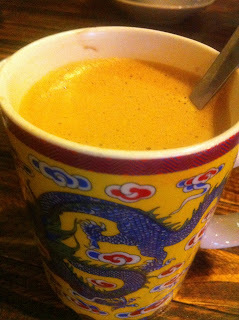 Ok...tasted better coffee elsewhere. The tables are all wooden...small and quaint. We sat in a corner...a little squeezed. 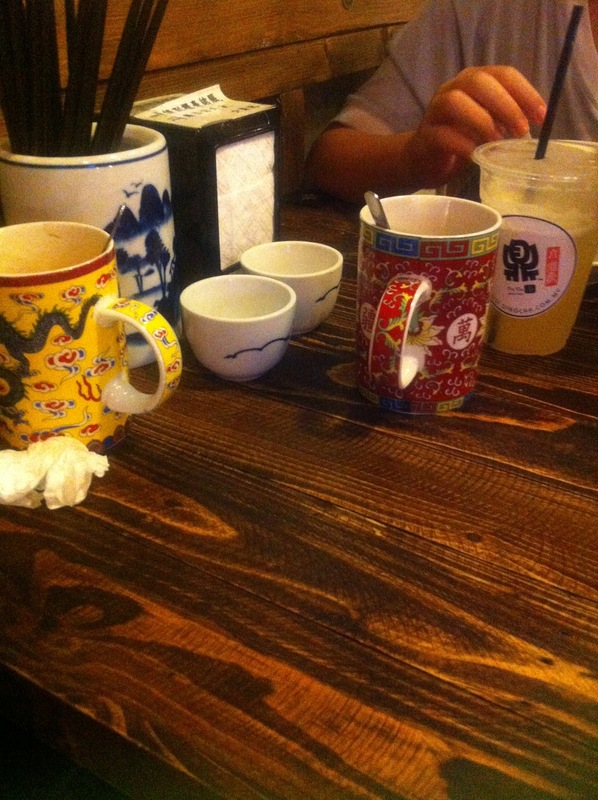 It's ok as we didn't order dishes. This is apple juice in their special cup with their logo. 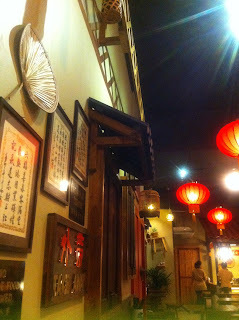 See the deco....lots of chinese writing on the wall, red lanterns etc. I like the deco. 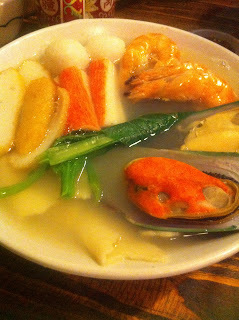 Lyn and I had seafood pan mian. The pan mian is a little too rough and thick. The hawkers that I know (who sell pan mian at the most RM4) make really smooth pan mian that is easy to swallow. I couldn't finish all the pan mian because kind of get stuck at the throat. He he......so much for eating outside.